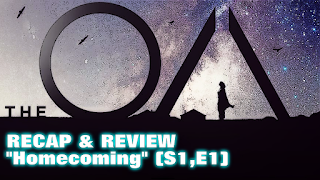 Recently I put out a call for recommendations of shows to watch, and one that caught my attention was ‘The OA’, just by the title alone, like what could that possibly mean? Some reviews said it was similar to Stranger Things and I liked that, so today I sat down to watch the first episode… titled ‘Homecoming’ and I liked what I saw and the approach to the story. We are introduced to Prairie, aka Nina aka the OA…. A once blind young woman who makes am immediate impression by diving feet first off a bridge… and we learn through the course of this episode she’s somewhat special, unique. We learn that she was not not born blind, she was from Russia and some Karma based beings known as the Voi caused an accident to take her life and that of other Russian industrial business leaders to send a ‘message’, she was returned without her sight to keep her from seeing how ugly the world is… we know that she was adopted by Nancy & Abel Johnson at some point and ended up going missing 7 years prior to her taking a jump off the bridge… and she has some great insight as it relates to a person’s inner and outer self. But the funny thing is about this episode, is the majority of it is all a long cold open, of seeing The OA adapt to being back ‘home’ and meeting some locals, a totally unlikeable Steve who is a bully / pusher / trouble student who would punch a kid in the throat for crossing him one way or another, who by some wild happenstance The OA helps keep in school by pretending to be his stepmother thanks to a ‘strangers on a train’ deal… (sorta back fires), and it’s through this instance we see there is a lot more too her when she gives him some perspective as to why he’s not getting what he wants as he’s too focused on how he’s perceived and now enough on how he is. 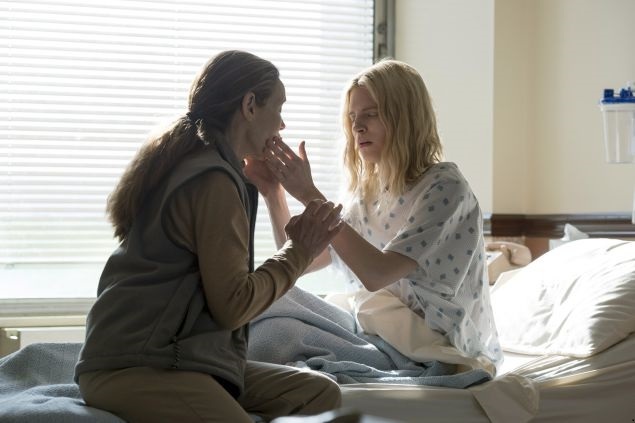 The OA’s interactions with Steve and his teacher, plus some others coming to her call for help leads to the title credits (which pop up like 40 some odd minutes into the episode) to take us back to where everything for her started. Things about this episode that stood out is The OA’s conversation with Mrs Broderick-Allen and how a teacher who loses her way can easily just be willing to let a hard case student go to just focus on the ones that are going to succeed, that’s a bit of damning commentary on the station of Education as a whole when you really think about it. The flash back to OA’s childhood in Russia was really well done, and I swear they only made her Russian because they could do a ‘to beat the cold you have to be colder than it’ deal to have Nina step into frozen lake water. Plus this ‘Homer’ The OA wants to find / see, we know who he is as a star Quarterback and that he had a near death experience, being knocked into a coma during a big game, but seemingly recovered. So that said, it’s safe to say I’m looking forward to watching episode 2 tomorrow!